Remember the Zenfone 6 which was leaked a few months ago? 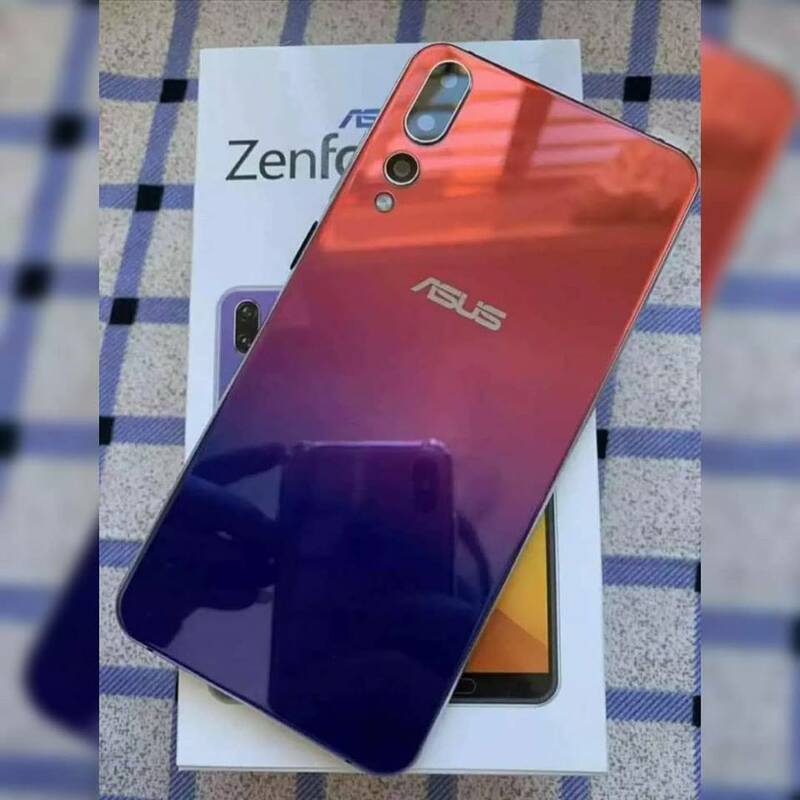 Another Zenfone 6 leaked photo has popped up, and it confirms the previously seen design with the triple rear cameras. The design seen in the picture does not tally with the prior leaks, which is quite. The photo shows the triple camera setup has 2 lenses aligned together vertically, with the third one placed separately below them. You may have noticed that the Zenfone 6 leaked photo shows the phone sitting on a box. This appears to the retail packaging of the phone, and has a similar design on the cover. You can also see the phone’s front panel slightly. There seems to be an oblong home button, which could be the fingerprint scanner. However, what manages to grab our attention, is the large chin on the phone. That means the phone will have a low screen to body ratio, something which we haven’t seen in any of ASUS’ recent devices. The fact that the edges of the display aren’t rounded suggests that the phone could sport a screen with an 16:9 aspect ratio. Previous leaks suggested that the device could be equipped with an in-display selfie camera or a dew-drop notch. ASUS going the other way with an outdated design in 2019, seems improbable. So, take this leak with a pinch of salt. The ASUS Zenfone 6 does not have an official launch date yet.